Swiss cheese, Swiss chocolate and Swiss Alps! Disneyland Paris, mon premier Disney pour l’année 2017 ! Au revoir et bonne année, Paris! As I post this, I’m not even in the Philippines anymore, but in my defense, the internet access was patchy at best, and I’ve been a busy little bee! I … Continue reading Magandang Umaga! Side note: I know this post is super late. I’ve been working on it for a few weeks but I’ve been so busy and tired that I’ve barely managed a … Continue reading Swiss cheese, Swiss chocolate and Swiss Alps! I can’t recall if I mentioned this on my blog previously, but one of my plans for 2017 is to visit every Disney theme park in the world. And of … Continue reading Disneyland Paris, mon premier Disney pour l’année 2017 ! The last few days have been something of an improvement of my first few days in Paris, but honestly, Paris is clearly not my favourite place. On my fourth day … Continue reading Au revoir et bonne année, Paris! So, time for a little bit of background. I’ve been wanting to visit Paris for a long time. The museums, the gardens, the palaces, the monuments…the history in general is … Continue reading Bonjour, Paris! The last few days have been considerably slower than the first few, but I think they needed to be after all the walking and exploring I managed in such a short time frame. 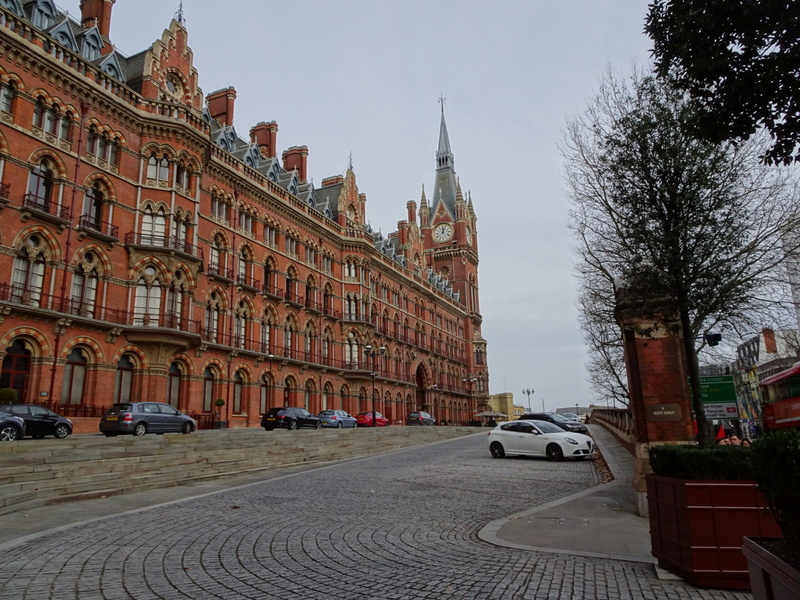 My 5th day in London was Christmas Eve, which I spent completing the second part of the Harry Potter walking tour. My feet were still aching from the days before, so I took it slow. 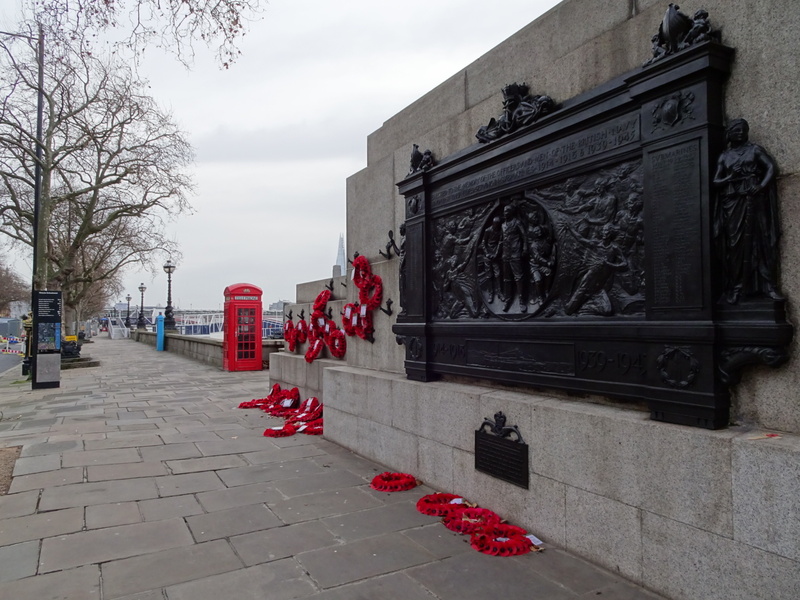 The second part of the walk began at Temple, with a walk along Victoria Embankment, before crossing over Blackfriars Bridge. On the other side of the Thames it routed by or through several sites: Tate Modern, Millenium Bridge, The Globe theatre, the Golden Hinde, and Borough Markets. 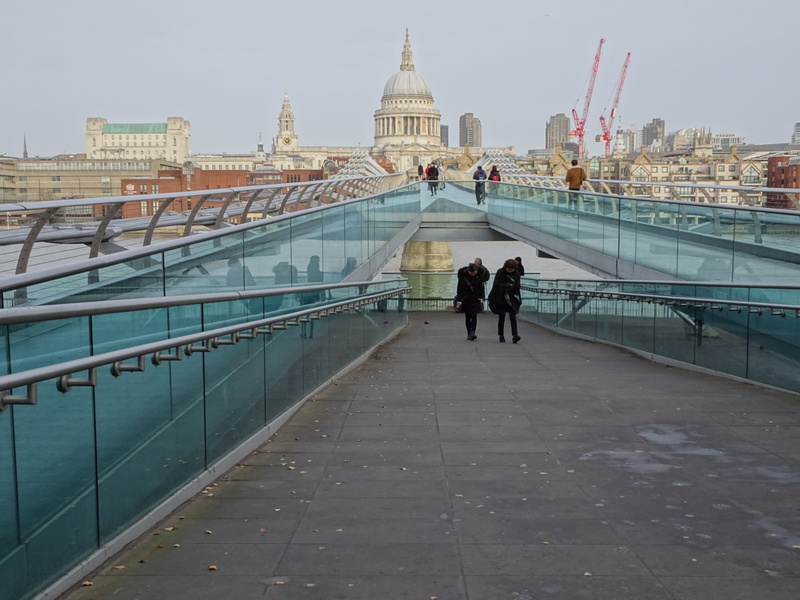 Millenium Bridge with St Paul’s Cathedral in the background. The Globe Theatre in panorama. Eventually the walk took me back over the Thames via London Bridge, past the Monument to the fire of London, through Leadenhall Market and across to Bank underground station. 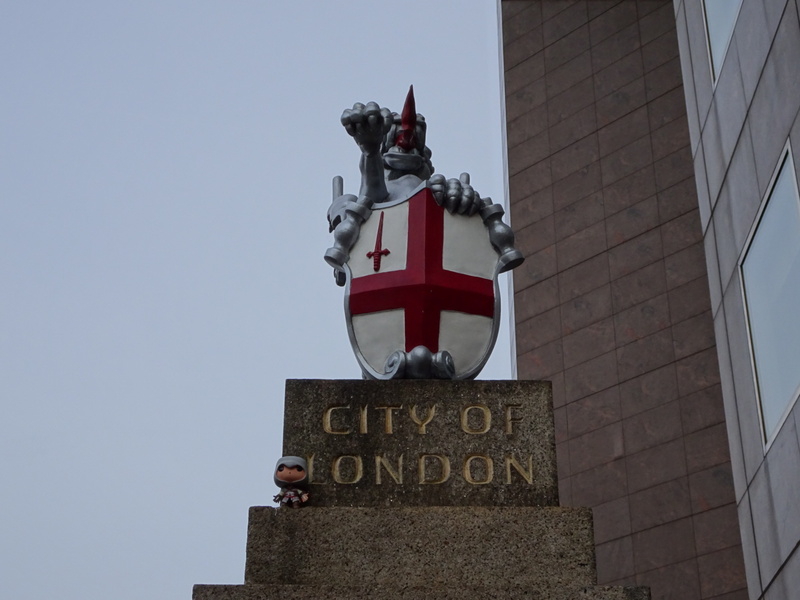 Ezio thinks he has conquered the dragon that sits before London Bridge. From Bank I took the tube to Kings Cross to see platform nine and three-quarters. I was so excited to see it…but so were the several hundred people in queue! I was far too tired to wait in such a long, slow moving line, so instead I took a photo from afar, popped into the shop to see if there was anything I wanted to buy, then made my way back to the hotel for some R & R.
Although I did less walking than on previous days, my ankles were really feeling the accumulated strain of several days overworking, so I put my feet up and caught up on the previous week’s WWE, starting with the Roadblock Pay-Per-View. No spoilers or anything, but I’m hella disappointed in one title change, but super excited about another! 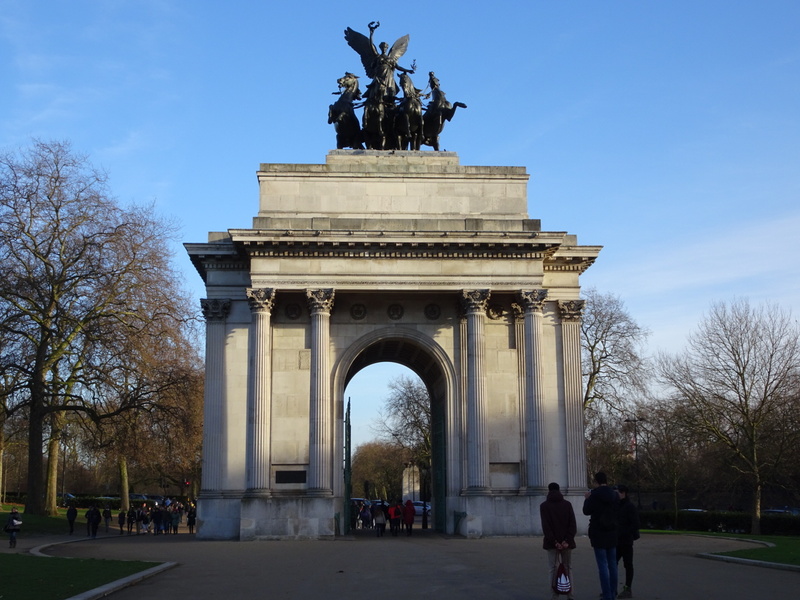 Christmas morning walk through Regent's Park. …and make some new friends. Nvertheless, I was extremely disappointed and about ready to demand my money be refunded, but then the tour company ordered more buses to handle the demand for them and it got significantly better. I don’t understand why they didn’t do that in the first place, since surely they knew how many tickets they had sold, but at least the improvement was enough to stop me ranting at some hapless staff member and pushing for my money back…and I did get to visit a few more places in slightly less sardine-like travel conditions. 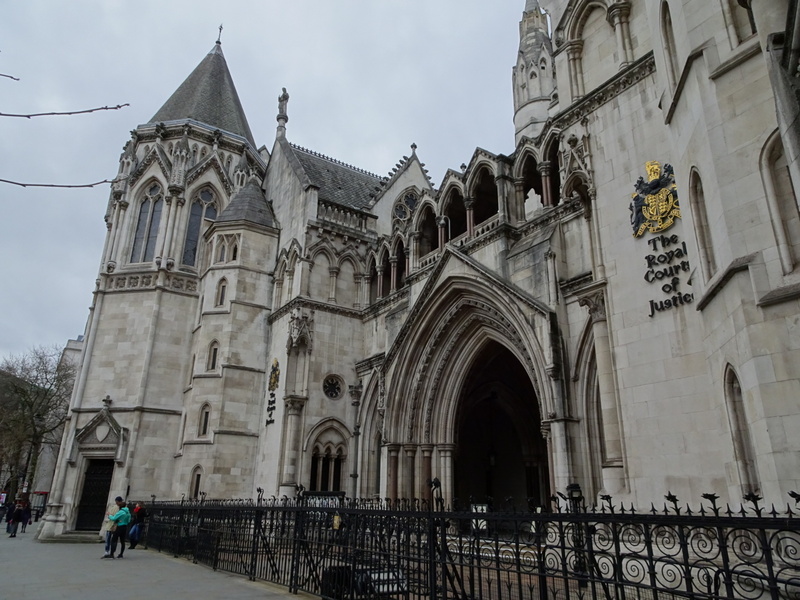 The Royal Court of Justice…our courts are nowhere near as impressive! 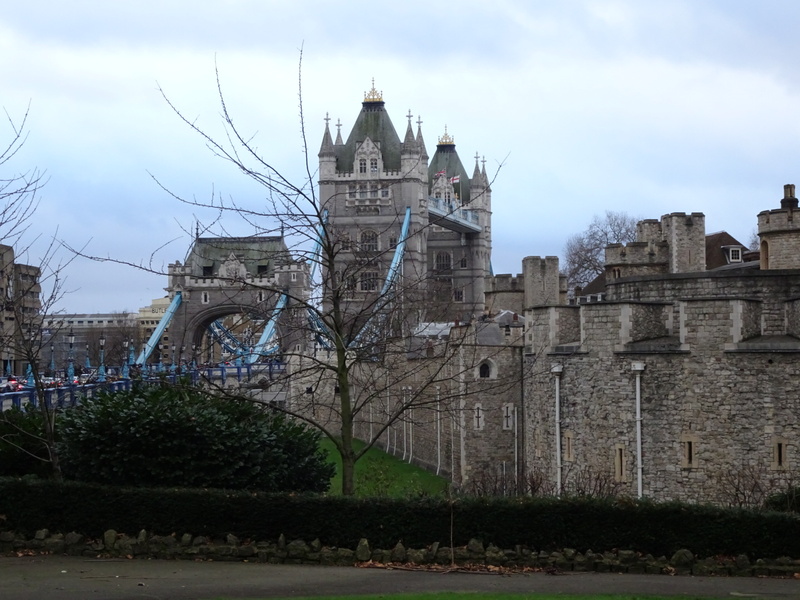 Tower of London and The Tower Bridge. Still, I doubt I would ever book with them again. Of course, I had already booked a second tour with them for that night, to see the Christmas lights via open top bus. That was significantly better, as it wasn’t hop on hop off, so they could only book as many people as there were seats to fill. They had departures at 5pm, 6pm, 7pm and 8pm. Mine was at 6pm, but I got there early (early enough to see the previous bus waiting around prior to its departure). A bonus of being so early was that I was one of the first on the bus (behind those people who shoved their way in front ignoring how many had been waiting around for ages) which meant I got a seat in the open area. It was very pretty…freezing, but pretty. I have to say, I was shocked by how many people were actually out. Trafalgar Square was even more full of people than lunchtime a few days earlier! 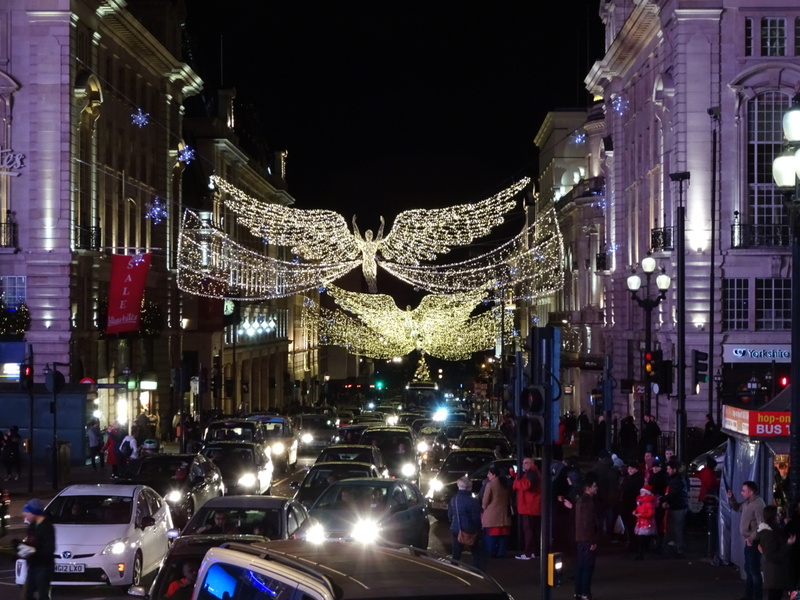 I cannot remember what intersection this was…but the lights were pretty and the crowds were swarming! Still, despite the questionable start to the day and my resolution not to book with Golden Tours in the future, the light tour was pleasant enough to be worth braving the cold…not enough to change my mind about Golden Tours, though. Boxing Day was quieter than Christmas Day, which quite frankly, was weird. I got up a bit later than normal, and repacked my suitcase since I was due to leave London on the 28th and needed to see how much room I had left in my suitcase. The answer was none. Oops. Thankfully I had already been disinterested in the idea of Boxing Day sales (or more accurately, disinterested in braving the B.D. sales crowds) but I decided some morning exploration was in order. I slowly made my way to Tottenham Court Road, intending to have lunch at a place that had been recommended on my “Handy”. For those that don’t know what that is, it’s basically a smartphone provided by the hotel for local calls, internet data and to act as a guide and map service. It’s a great idea and since I didn’t use it for photos or social networking, the battery on it far outlasted my actual phone each day. Anyway. I made my way to this restaurant after checking on Google that it was open. Oh, Google. How you betrayed me. I guess to be fair, Google only knows what it’s told, and apparently this place’s idea of letting customers know about its holiday closure is a hastily scrawled sign on the door. So, to salvage some of the day I wandered to Covent Gardens Market, which was actually also a huge disappointment. 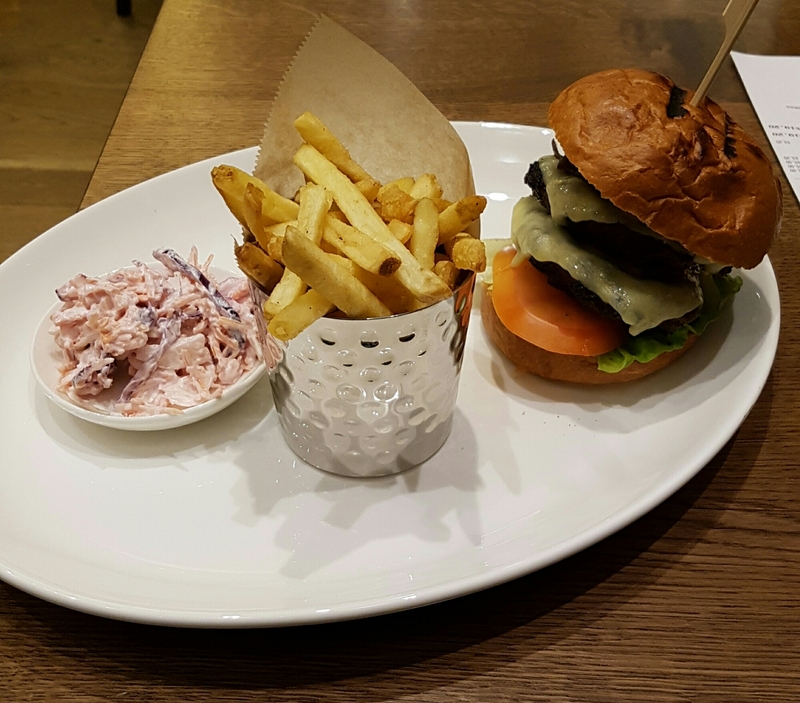 I ended up at the Angus Steakhouse near Leicester Square station nomming on some ribs before taking the tube to Hyde Park Corner and taking a long, meandering walk back to my hotel. On my last full day in London, I got up early to do a final repack of my suitcase, just leaving out what I would need for the day and for my early morning departure on the 28th, before heading out to the Natural History Museum. Visiting the Natural History Museum this morning. The queue to get in is intense!!! Now…let me be clear. I got there early. Not super early — just a couple of minutes before opening — because it’s a museum, not a freaking rock concert where you need to fight to the front, but dayum. Just after I arrived the queue began moving, so I got to the end of the line twice as fast since I was moving one way while it was moving the other. It still took me nearly ten minutes to reach the end of the queue. I am not exaggerating. There were literally thousands of people in front of me waiting to go in. Thankfully once the doors opened it went fairly quick…I was inside in probably around 20 minutes, and since the museum is huge it wasn’t as crowded as it seemed like it would be. Roar! I guess this is how they draw a crowd!! 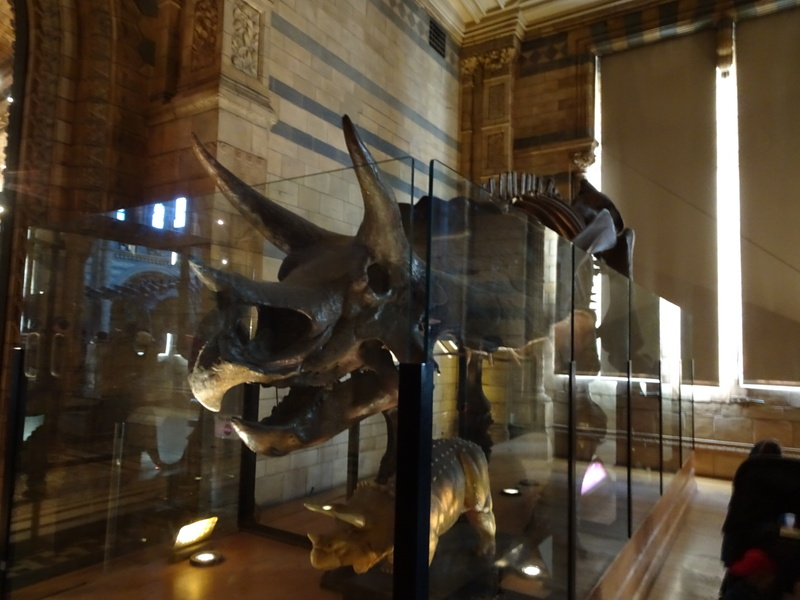 Triceratops at the Natural History Museum. I spent the morning wandering through the blue zone (animals, dinosaurs etc) followed by the red zone (volcanoes, earthquakes, geological stuff and all that jazz) before having a surprisingly tasty lunch at the T-Rex Grill in the museum. T-Rex burger with slaw and fries from T-Rex Grill. 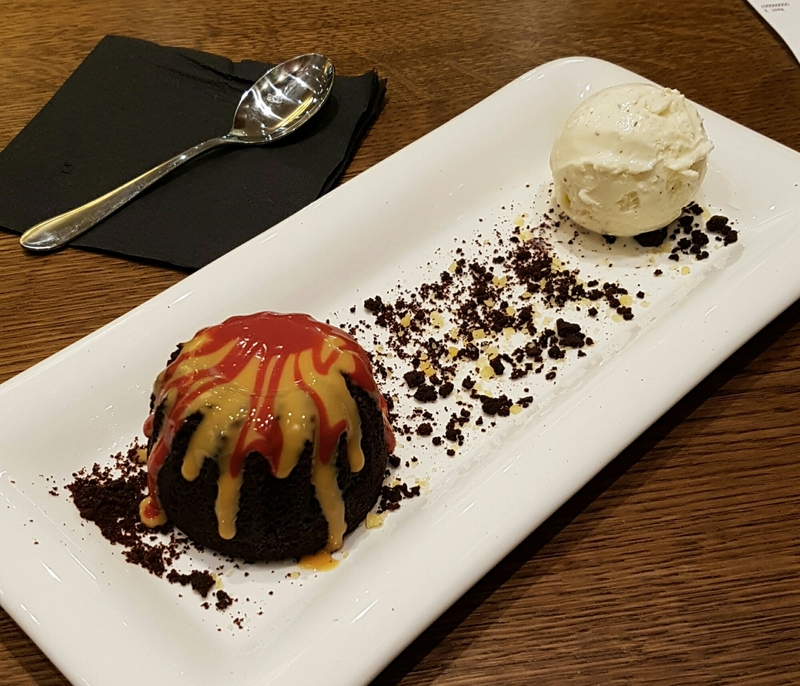 Molten Lava Chocolate Cake from T-Rex Grill. After that I was about ready to leave, and although I’d previously planned to visit the British Museum in the afternoon, I’d been museum’d out for the day (or more accurately, I’ve over walked the hell out of my feet over the course of a week and wanted some more recovery time before I do the same in Paris), so I decided to head back to my hotel. Stepping out of the museum was…in a word…Weird. Because over the hours I’d been inside, the line didn’t disappear. It got worse. I even felt the need to ask one of the staff if that was normal. She said no, it was crazy because of the holidays, but that even so she had never seen it that busy. Lucky me? So back to the hotel I went, to put my feet up and marathon the latest several episodes of Brooklyn Nine-Nine. And so brings us to today, December 28th. I’m getting ready to leave London on the Eurostar. Which reminds me, I never mentioned which awesome hotel has been my home base for the last 8 days. 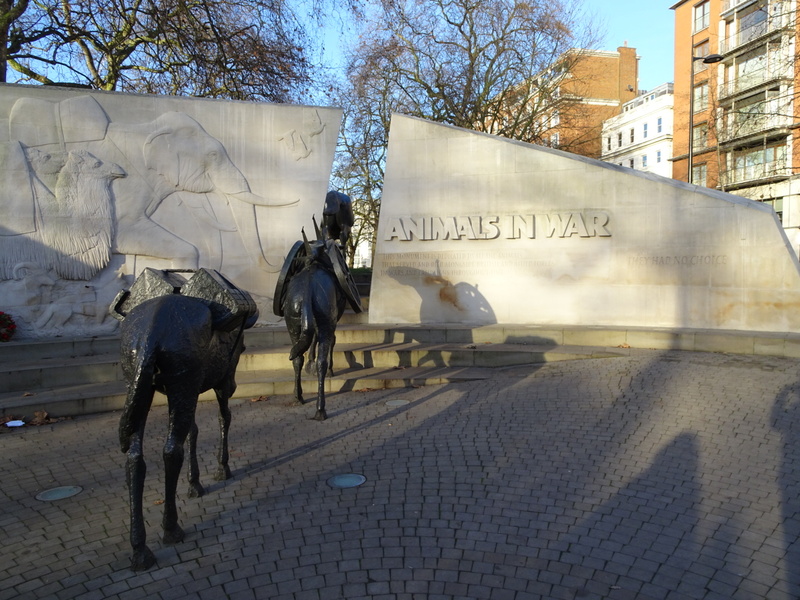 I’ve been staying at the Park Grand Lancaster Gate Hotel, which has been great! The rooms are tiny which is unsurprising since it’s London, but the rooms are still nice and the service is excellent. I would definitely recommend it if you have some extra money to spend on nice accommodation. 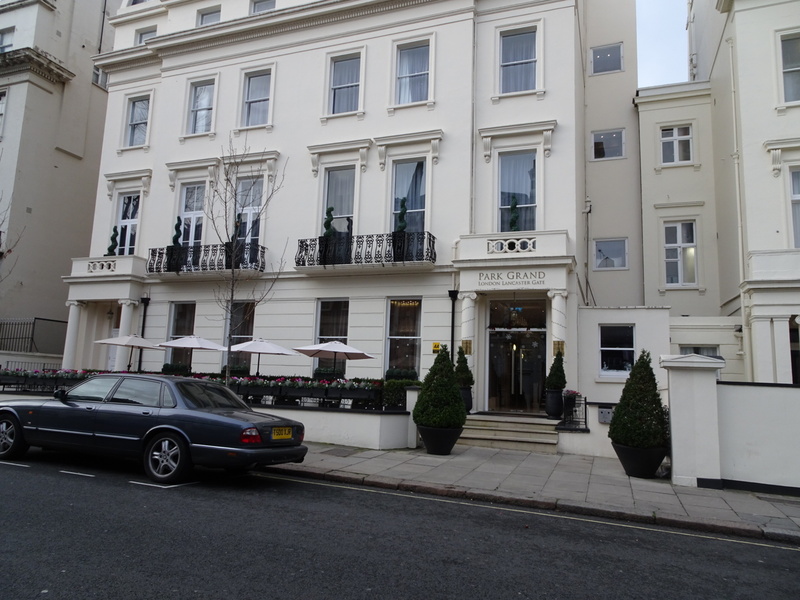 Park Grand Lancaster Gate Hotel. I’m a little sad because there’s still so much to see and do, but my next stop is Paris, so I’m sure that will perk me right back up! And on the upside, guess who got to see platform nine and three-quarters less busy on her way out of London? I mean yes, it was 6:00am and there were still a handful of people, but some sacrifices are worth making! 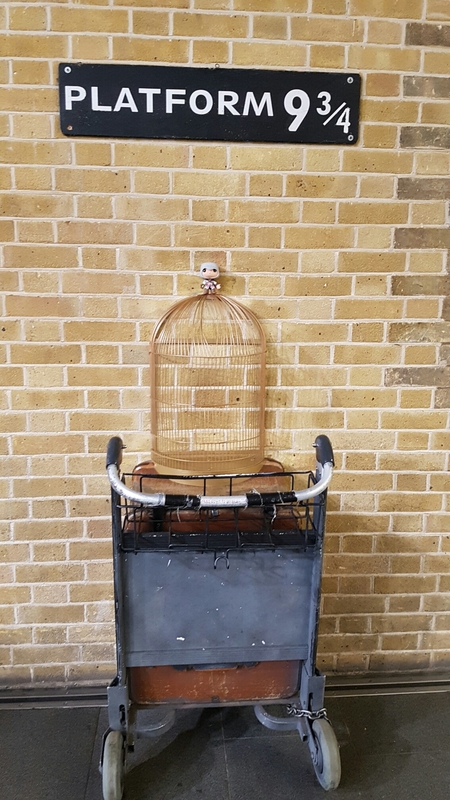 Ezio claims he’s willing to climb into the cage and pretend to be an owl if it gets him to Hogwarts. Goodbye, London! See you again in the summer! !